Up until just a month or so ago... oh who am I kidding... more like 3 months ago, I was still flexible enough to hit up a yoga class or roll out my yoga mat, maybe perhaps thinking about stretching... but eh, lately, putting my feet up has been more my thing... and unfortunately with a new baby in the house, putting up my feet isn't really an option. 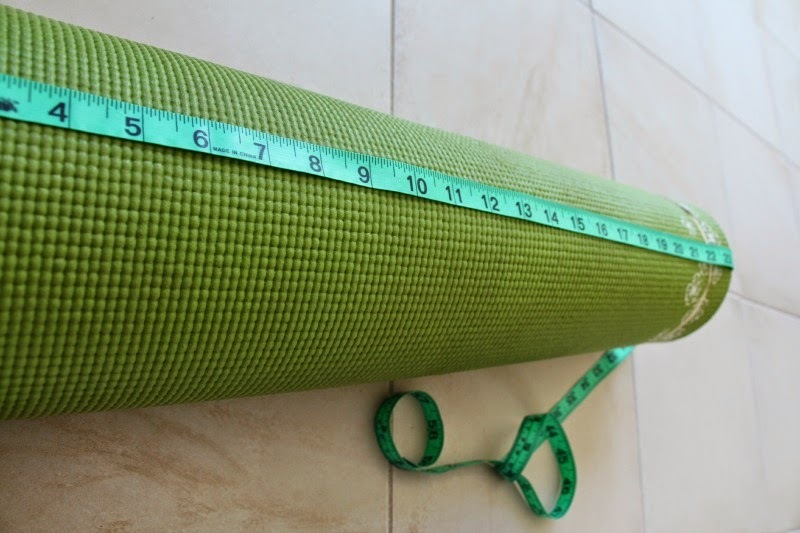 That being said, one thing I have been meaning to do for a long time, is to make a way to store my yoga mat... so it knows that I care about it and that I will be back soon ;-) Why not do it now before I don't really have the time any more? 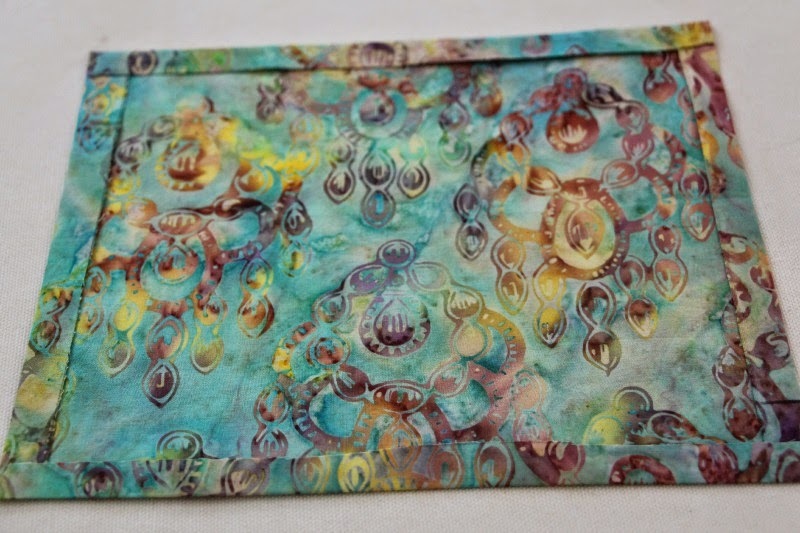 ;-) It really was such an easy process with only beginner sewing skills needed in order to make a pretty decent yoga mat bag. 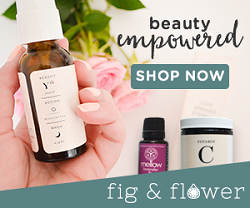 This is a quick and easy project that will leave you feeling accomplished. I know it made me feel all warm and fuzzy inside. I had some tracing paper on hand from my pattern drafting and tailoring classes so I opted to make my own pattern for this bag, though I suspect, if you felt comfortable, using measurements would be a quick and dirty method. Ultimately it is up to you, crafty person. I grabbed my yoga mat and rolled it up, not too tightly, to give myself an idea of how large it would be when I would need to put it in it's new bag. You can wrap a couple of rubber bands around each end if you want it to stay in place while you measure. I first measured the length of the mat, then the circumference around the mat. 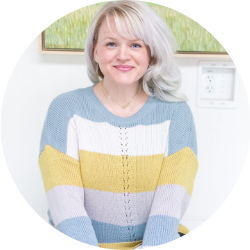 These two measurements will allow you to basically draft a pattern piece for the main body of the bag, which will serve as your rectangular shell and lining pattern pieces. My measurements were Length by Circumference, measuring 24 inches long and 16 inches around. I added a 1/2 inch seam allowance to every side and an additional inch to one side (for the tie closure). 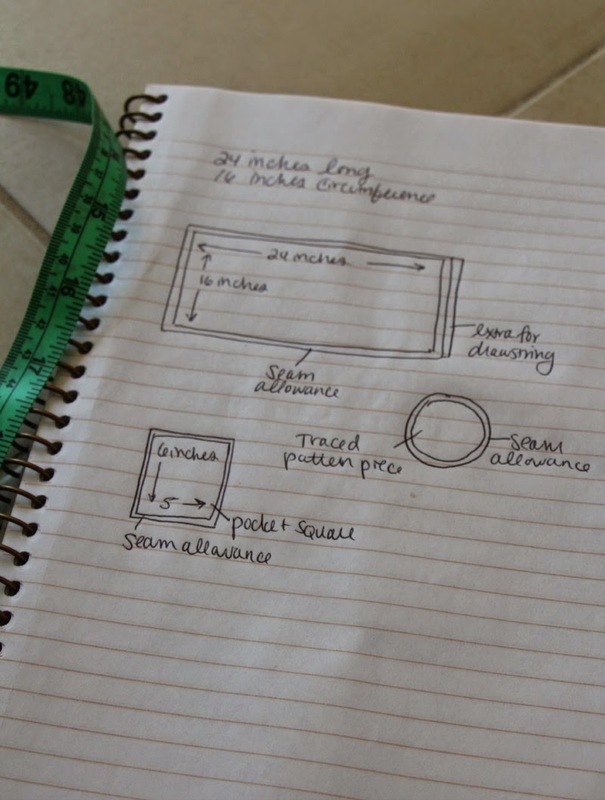 Either measure with a ruler on a piece of tracing paper or directly on the fabric if you are feeling fanciful. 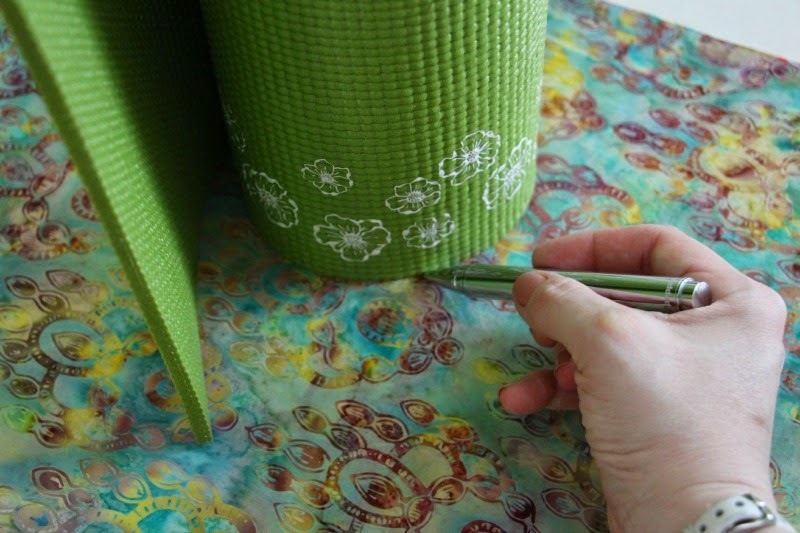 For the end lining and shell pieces, I basically turned my rolled up yoga mat on it's side, and secured by some rubber bands, onto some tracing paper. I made a rough circle around the bottom of the mat and once done, cleaned it up to make it a more "perfect circle. I also added a 1/2 seam allowance to this pattern piece. This I recommend drafting on a piece of tracing paper, since the circle will need to be evened out. 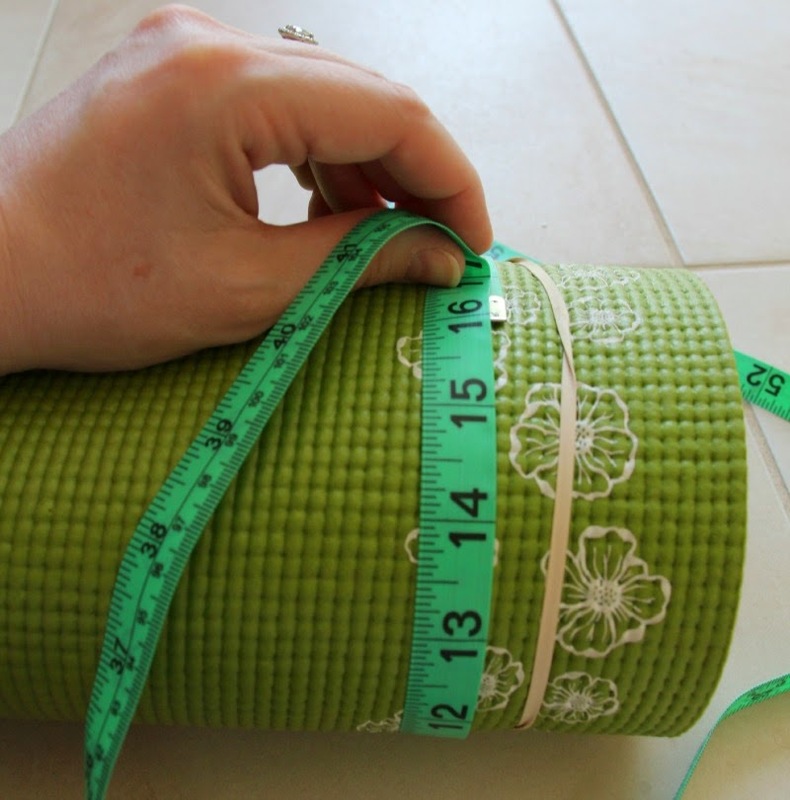 You can also measure the circumference of the mat as pictured. 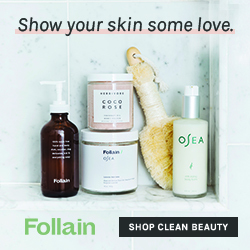 The bag's strap is simply a rectangular piece that is folded two times on each side into the middle to create one long, clean (no open edges) piece with a straight stitch to close. I used the measurement length of my bag and had 4 inches as the width (folding in an inch then another on each side into to the middle). You can make the straps as thick or as thin as you'd like, its up to you. If you want to add a pocket, it is truly up to you how large you want it to be. I made a rectangular pattern piece measuring 7x8 to add to the bag. This isn't a fancy pocket but will be there for my keys in a pinch! Seam allowances are needed on this piece as well (I added a 1/2 inch on each side). Draft onto paper for pattern piece. 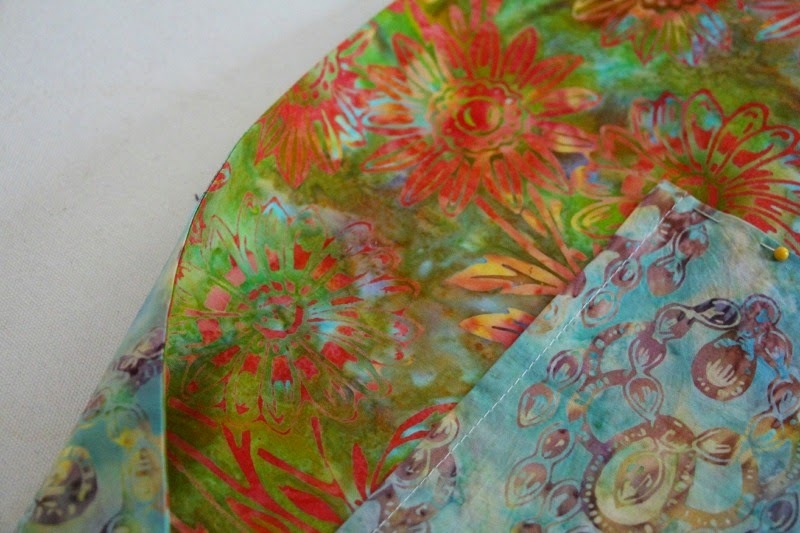 The beautiful fabric that I chose to use was a couple of different batik's from the Fabric Place Basement in Natick, MA... simply one of the greatest fabric stores in the Northeast, in my humble opinion. 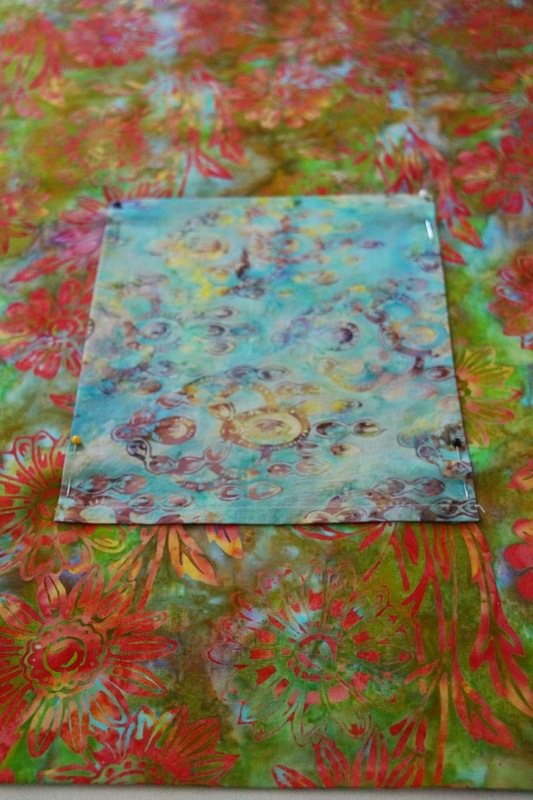 These two fabrics fit my idea of what a yoga bag should express (hippie much?) 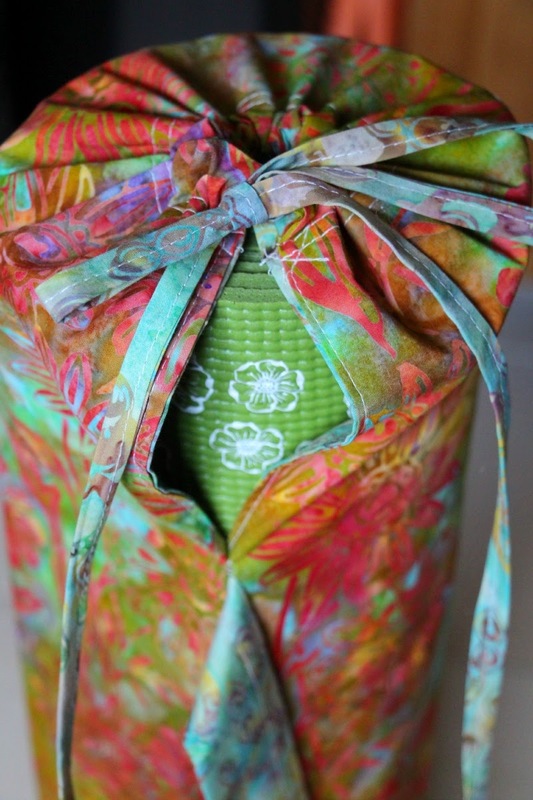 and also match my good ol' Gaiam mat! 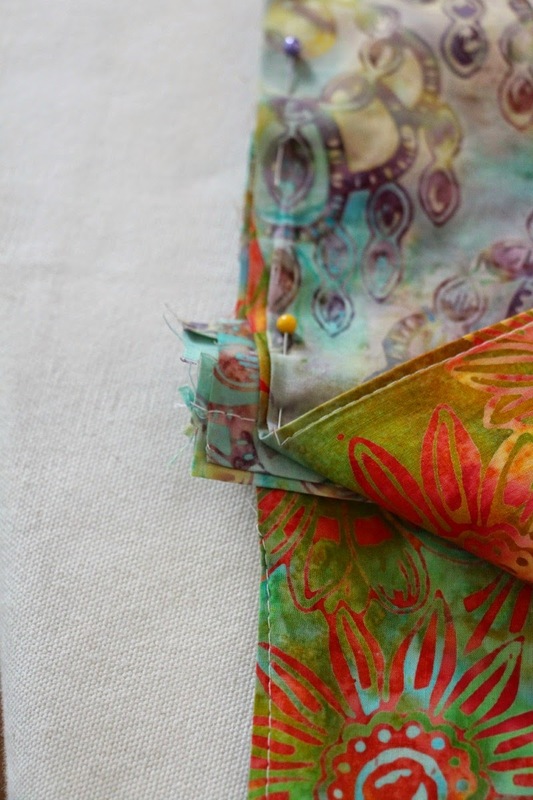 A simple cotton or quilting fabric will work just fine for this project, though I would think home decorating fabrics may provide something more long lasting, if that interested you. 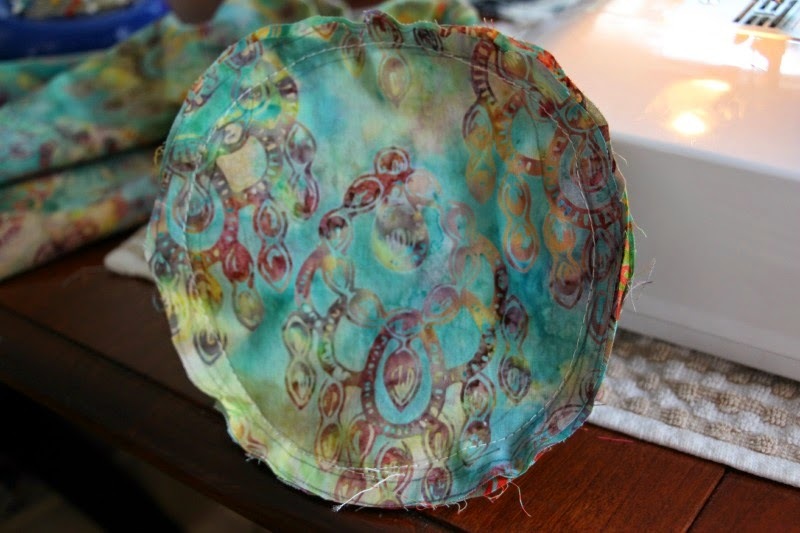 Pin the two right sides together of the shell and lining pieces across the top of the pieces (above the top of the pocket). Machine sew in place. Fold the pieces out so right sides are facing out and iron the fold into place for a clean seam for the top of the bag. 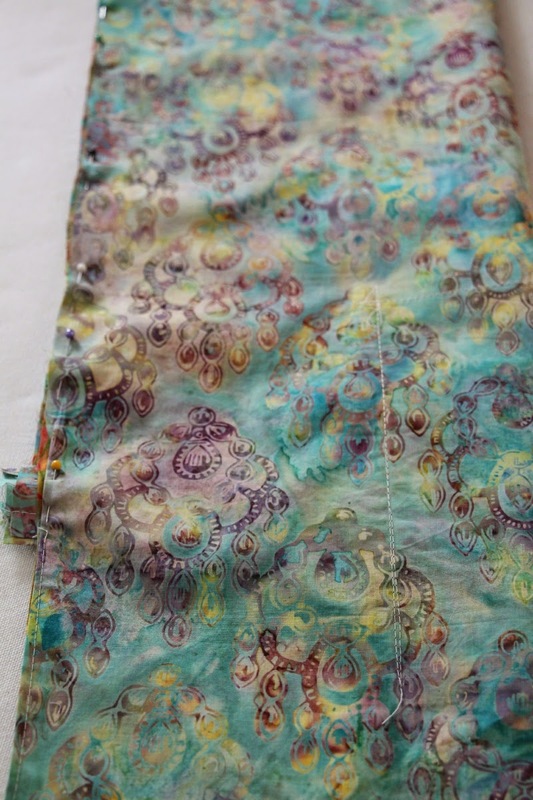 Measure an inch down from the top and sew a straight line across the fabric. This will serve as the tunnel for your tie closure. I added another stitch about a 1/4 inch down as decoration. Pin the whole side seam down, remembering to pin the bottom of the strap into place. 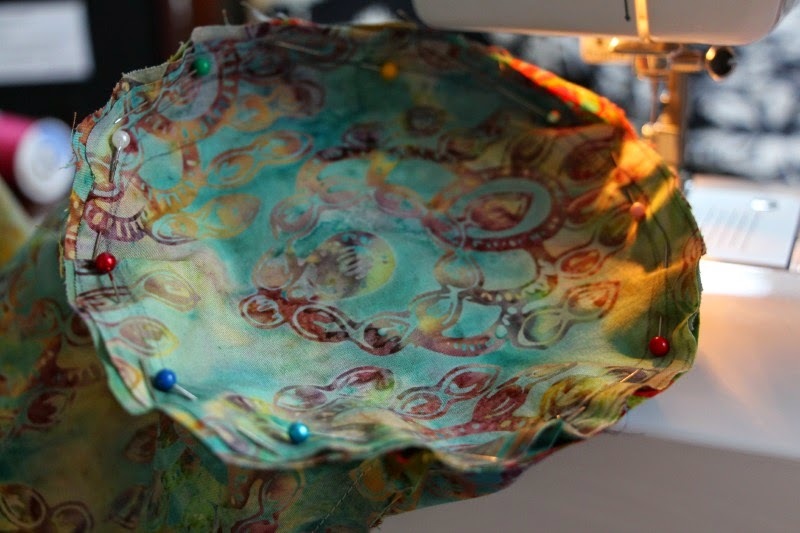 Sew a straight stitch with your machine. 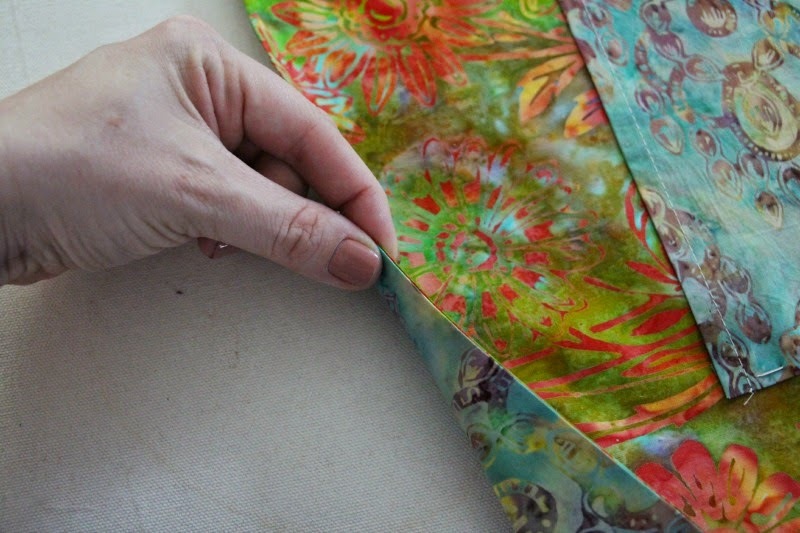 Clean up the edges of your openings with a straight stitch. I traced my mat for the bottom of the bag but you can use a protractor and measurements if you want complete accuracy. I will tell you that the quick and dirty method works just as well if you aren't looking for an award on construction. 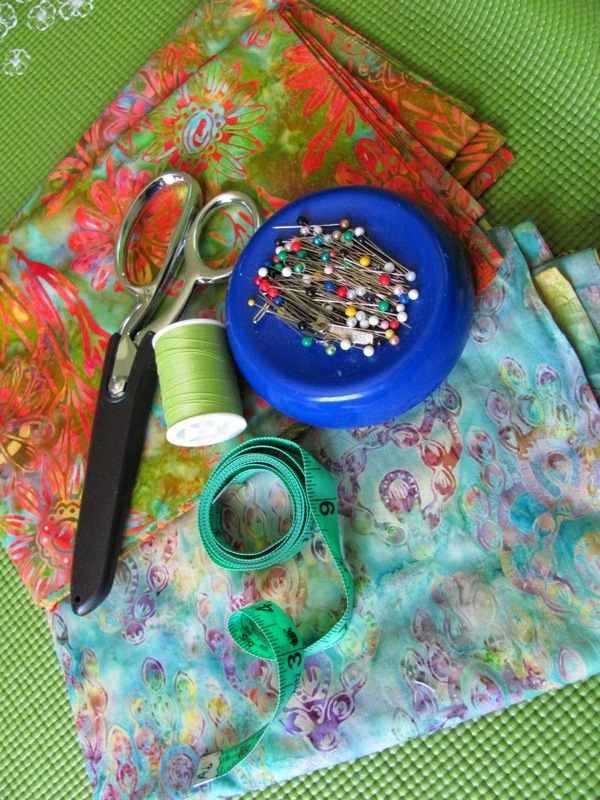 After cutting the pieces, I pinned them to the bottom of the bag, distributing the bunching so that it was even when I sewed in on the machine. Turn the bag right side out and you are almost done! You can use cording or a thick ribbon as a tie closure. I made my own tie using the lining fabric using the same method that I did for the strap, only made it much thinner to fit into the tube you created for the closure. Just thread that through (I use a safety pin on one end to shimmy through) and you have your ties on each end! 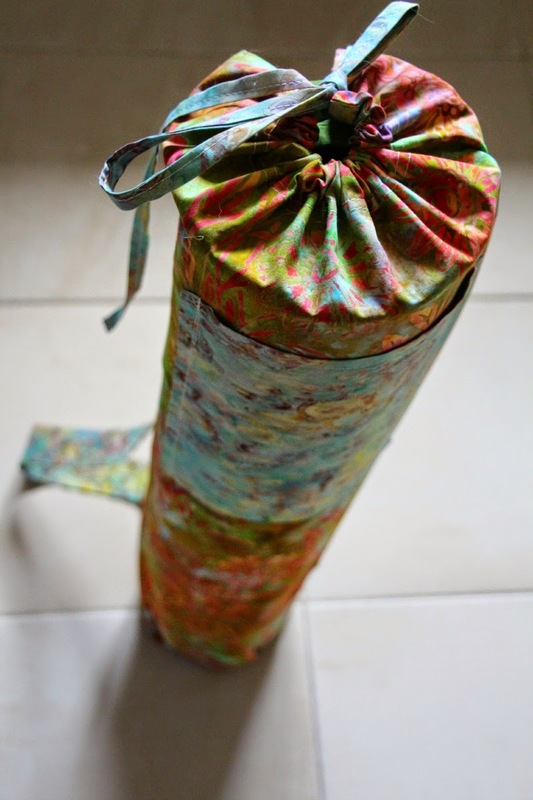 Some other great Yoga Mat Bag DIY's across the web? This Merimekko bag from Always Mod Blog is great. 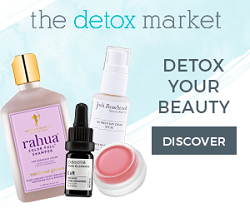 Martha Stewart obvi has you covered with her yoga tote bag. Kick Stand Fit's tutorial is super easy to follow! 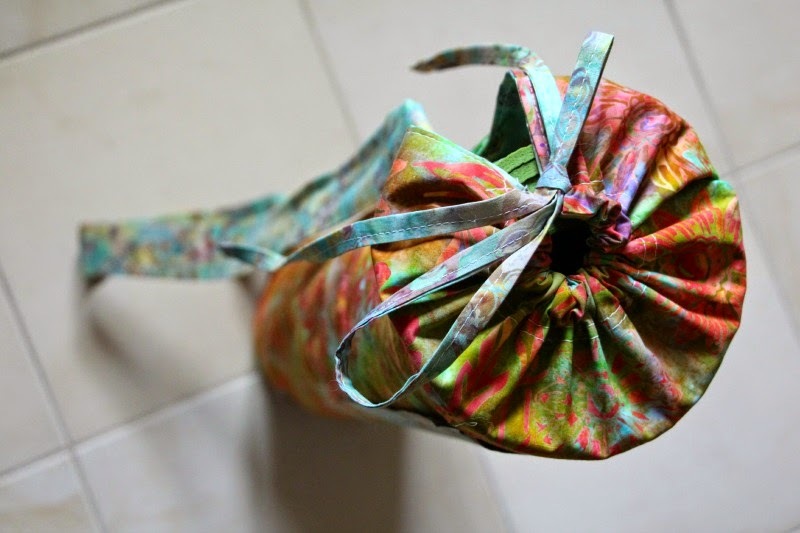 Have you ever tried to make your own yoga mat bag or tote? Great bag! I love, love the fabric you chose.